Clean carpets can add beauty and style to CO houses. They also cushion your feet and provide insulation for the indoor environment. However, your carpet can accumulate dust and allergens, which may cause various health problems. That is why keeping your house carpet clean is important. Often, business and family matters may take your attention away from carpet cleaning in Colorado Springs. To keep your house carpet clean even when you’re busy, you can seek help from professional home carpet cleaners. This service can preserve your carpet. Carpets are designed to last for years in houses, offices, or commercial establishments. However, spilled food and drink as well as dirty footwear can cause stains on your carpet. You need regular carpet cleaning in Colorado Springs to keep your house carpet clean and make it last longer. This service can remove stains. You may have a stylish and pricey carpet in your home. However, stains and spots can make it look unsightly. 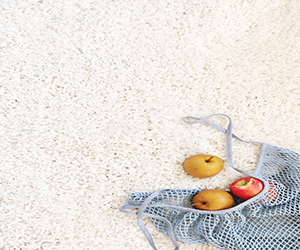 Stain removal can be more challenging if stains stay long in your carpet. To make your carpet look presentable all the time, you need regular carpet cleaning in Colorado Springs. Professional home carpet cleaners keep your house carpet clean and protect it from further damage. This service can help get rid of allergens and bacteria. Your carpet can become a breeding ground for bacteria and germs, especially if it gets moist. This may cause various diseases if not properly cleaned. Keep your house carpet clean to help get rid of unhealthy contaminants in your carpet. If you have children in the house, then it is advisable to keep your house carpet clean and have regular carpet cleaning in Colorado Springs. Kids may come in contact with allergens, especially if they tend to put things in their mouth. This service can boost the appearance of houses. A poorly maintained carpet can make your home look dirty. This may also turn off your guests. To keep your house carpet clean, hire home carpet cleaners. Enhance the appearance of your house with clean carpets. Get a professional that offers various services. Ask about the services offered by service providers in CO. Hire a company that offers a wide array of services, such as carpet cleaning in Colorado Springs, odor control, carpet repair, and water damage restoration. This will save you the hassle of contacting different companies for various services. Choose professionals that offer a high-quality service. Some house carpet cleaners tend to cut corners with their service. Hiring untrained individuals can damage your carpet. You may end up paying more money for repairs or even end up buying a new carpet. To keep your carpet looking clean, hire experienced home carpet cleaners. These professionals can make your carpet look brand new again. Get professionals that offer prompt service. In some cases, you may need to have your house carpet cleaned at the soonest time available. For instance, your pet made a huge mess on your carpet and you are about to host a house party in a few days. Home carpet cleaners can be a lifesaver. Hire professionals that can deliver their service at the earliest time possible. Hire professionals with years of experience in the business. Established home carpet cleaners have the latest equipment and tools to deliver quality carpet cleaning in Colorado Springs. They also invest in training their personnel with the latest and most effective techniques for keeping your house carpet clean. With the knowledge they have garnered over the years, these service providers can apply everything they know about carpet cleaning to help you with yours. Hire professional home carpet cleaners in CO who are known for their courtesy and professionalism. They are easy to work with and can give you value for your money. These home carpet cleaners work hard to exceed customer’s expectations. Learn about the customer service of home carpet cleaners by reading online reviews from their previous clients in CO. You may also ask people you know if they can recommend home carpet cleaners that can easily make your house carpet clean. Ask about the service rates. You can ask for estimates for services offered by home carpet cleaners. This will allow you to determine whether their service rates are within your budget. Hire professionals in CO that offer reasonable rates for their services. Do not hire a company simply because they offer low rates in CO. Instead, hire a company that prides itself on their quality work, including carpet cleaning in Colorado Springs. Hire carpet cleaning Colorado Springs that offer a guarantee for their service. In some cases, a spot may reappear on your carpet or perhaps you are not satisfied with the service of home carpet cleaners. Contact service providers that provide a guarantee for their services, including carpet cleaning in Colorado Springs. These home carpet cleaners will re-clean areas in question for free. Our company strives hard to exceed our clients’ expectations for our services, such as carpet cleaning in Colorado Springs. We are dedicated to keeping your house carpet clean. Learn about some of the benefits of carpet cleaning Colorado Springs for rug cleaning in your household. Are you looking for companies that offer carpet cleaning in Colorado Springs? Carpet Care Craftsman offers a wide array of services to keep your house carpet clean in CO. Get in touch with us today to schedule an appointment for carpet cleaning for Colorado Springs. You may also ask for estimates for our services in CO. Click here to learn more about us and how we can help your household with carpet cleaning Colorado Springs.